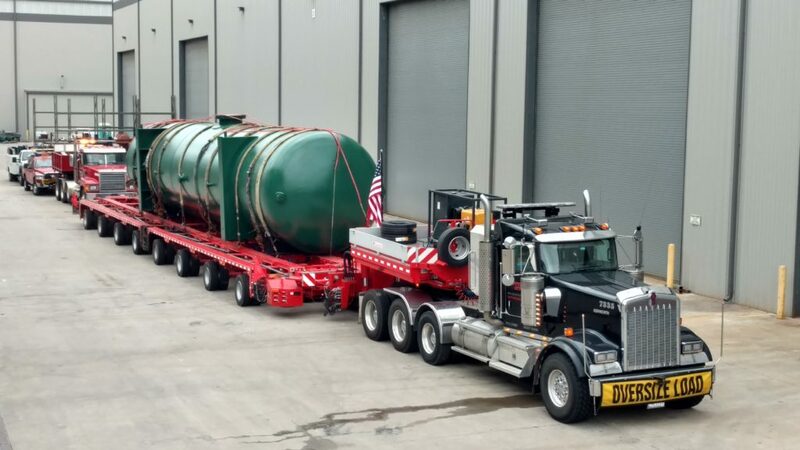 Capital City Group recently completed a project where we were tasked to transport a Surge Tank for Rice Energy based in Pittsburgh, Pennsylvania from Houston, Texas. The tank weighed in at 215,000 pounds, was 55 feet long, 12 feet wide, and over 13 feet tall. Capital City had to complete the 1,200 mile project while also having to deal with various transportation restrictions through 8 states. 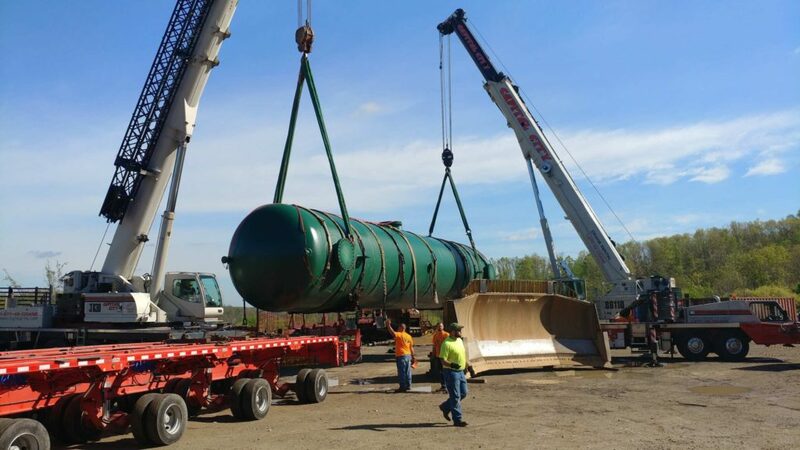 The moves were completed on a dual lane trailer consisting of 16 axles and 2 tractors. The gross weight was 420,000 pounds and a overall length of 160 feet. Due to weight limitations the tank was required to travel mostly on non-interstate routes which created many tight maneuvers and obstacles to avoid. 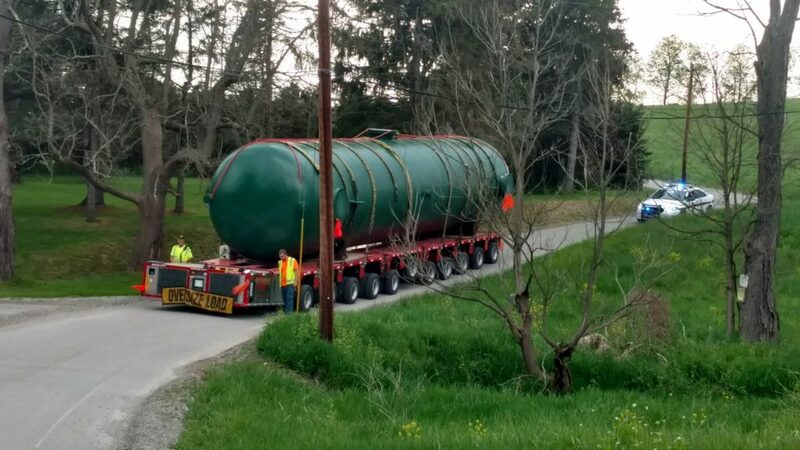 When the tank arrived to Pennsylvania it had to be trans loaded onto an 11 line SPMT to complete the last 3 miles of the trip.